Alfred Newton Richards, PhD, proved kidneys filter blood by inventing glomerular micropuncture, was the first to employ inulin to study glomerular filtration rate and determined that renal tubules secreted or reabsorbed various substances in processing final urine. President Franklin D. Roosevelt appointed him to head the Committee on Medical Research during World War II. In that role, Richards put penicillin in production as a therapeutic agent. He served appointed professor of Pharmacology at Northwestern University Medical School starting in 1908. Hans Popper, MD, PhD, is widely regarded as the father of hepatology. After completing his service in World War II in 1949, Popper was appointed associate professor of pathology at Northwestern University Medical School. He published more than 800 papers with a focus on the liver in health and disease and became a founding member of the American Association for the Study of Liver Diseases. Thomas E. Starzl, MD ‘52, PhD ’52, known as the father of transplantation, performed the first successful liver transplant in 1967 at the University of Colorado. Starzl also conducted the first multiple organ transplant in 1983, the first heart and liver transplant in 1984 and the first liver and intestine transplant in 1990. In 1980, he introduced the anti-rejection medications anti-lymphocyte globulin and cyclosporine. He was instrumental in developing tacrolimus, a drug that significantly increased post-transplantation survival rates. Edwin Taylor, PhD, adjunct professor of Cell and Molecular Biology, made significant contributions to understanding the biochemistry of muscle contraction and cytoskeletal research. His investigations provided the first kinetic model describing how molecular motors convert chemical energy into mechanical force. He discovered several molecular cell motors, some of which assist in the motility of certain white blood cells, and showed how actin and myosin induce movement in non-muscle cells. Laszlo Lorand, PhD, and his collaborators made discoveries that laid the foundation for the molecular understanding of the clotting of fibrinogen in blood. This led to the reconstruction of the physiological process as well as to the diagnosis of unusual bleeding disorders. His work served as a foundation for studying protein cross-linking in aging cells. He was the first director of a National Institutes of Health-funded Biochemistry Training Program and is a founding member of the Department of Cell and Molecular Biology. Samuel I. Stupp, PhD, studies nanostructures and materials with emphasis in regenerative medicine, organic electronics, solar energy and cancer therapies. He was elected to the National Academy of Engineering in 2012 for his work on the biomedical applications of self-assembled polymers. He is director of the Simpson Querrey Institute for BioNanotechnology and professor of Endocrinology, Metabolism and Molecular Medicine in the Department of Medicine. He is a member of the National Academies of Engineering and Inventors, and of the American Academy of Arts and Sciences. Robert Furchgott, PhD ’40, received the Nobel Prize in Physiology or Medicine in 1998, which he shared with Louis J. Ignarro and Ferid Murad for “their discoveries concerning nitric oxide as a signaling molecule.” Furchgott’s discoveries have helped scientists understand and find new treatments for cardiovascular diseases and other conditions ranging from immune disorders to memory loss, pulmonary disease and erectile dysfunction. Patricia Spear, PhD, identified the mechanisms the herpes simplex virus types 1 and 2 use to enter cells. She also characterized the cell surface carbohydrates and proteins required for penetration of human cells and viral spread by cell-cell fusion. She is professor emeritus in Microbiology-Immunology. In 1965, Gary Borisy, PhD, discovered the protein tubulin, which comprises a key part of the cell's cytoskeleton. He provided important insights into chromosome movement and the role of the protein actin, a major component of cell motility, and the dynamics of microtubules, filaments that help direct cell division. Borisy, now an adjunct professor, was previously associate vice president for research and the Leslie B. Arey Professor of Cell and Molecular Biology. Robert Lamb, PhD, is a professor of Weinberg College of Arts and Sciences and of Microbiology-Immunology. He studies the replication and pathogenesis of influenza virus and paramyxoviruses, specifically virus-mediated membrane fusion, the action of protein-selective ion channels, enveloped virus assembly and how these viruses defeat innate immunity. 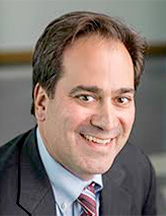 Chad A. Mirkin, PhD, director of the International Institute for Nanotechnology, the George B. Rathmann Professor of Chemistry and professor of Infectious Diseases in the Department of Medicine, is a world-renowned nanoscience expert. He is known for the development of nanoparticle-based biodetection schemes, the invention of Dip-Pen Nanolithography and contributions to supramolecular chemistry, nanoelectronics and nano-optics. He is the author of more than 440 manuscripts and over 400 patents and applications and is the founder of three nanotechnology companies. He holds membership in the National Academies of Science, Engineering, Inventors and Medicine. 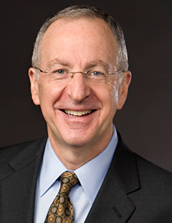 ﻿David J. Skorton, MD, is the secretary of the Smithsonian Institution in Washington, D.C. He graduated from Northwestern University in 1970 and the Feinberg School of Medicine in 1974. 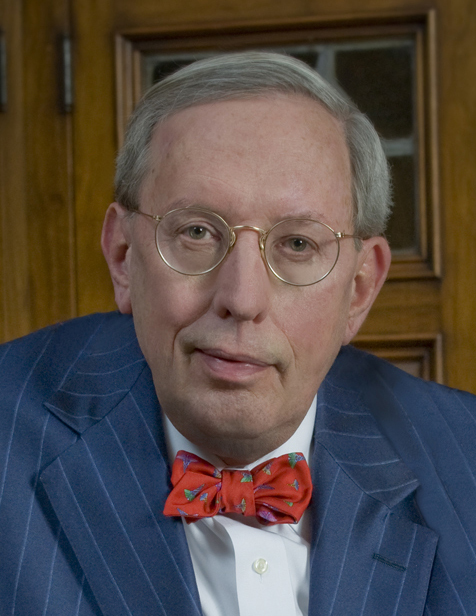 He received the Distinguished Alumni Award from the Feinberg School of Medicine in 2009. Eric G. Neilson, MD, vice president for medical affairs and Lewis Landsberg Dean, came to the Feinberg after serving as the Hugh Jackson Morgan Professor and chairman of the Department of Medicine at the Vanderbilt University School of Medicine and the C Mahlon Kline Professor at the University of Pennsylvania. His research has made important contributions to understanding the cell fate of fibroblasts in fibrogenesis, the expression of the nephritogenic immune response and the biochemical mechanisms of renal hypertrophy.